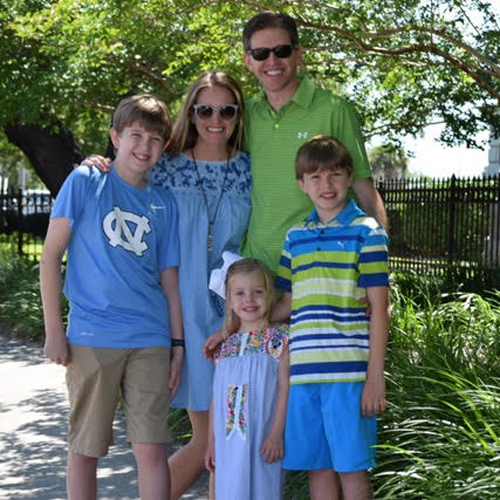 The Episcopal School of Dallas is thankful to announce a gift by Caycie and Briggs Briner, parents of fourth grader Brant and seventh grader Briggs. Kinsley will join her brothers as an Eagle next year in the 2018-19 Kindergarten class. The Briner Family gift supports the building of the new Lower School on the Merrell Road Campus. The Briners believe what sets ESD apart from other schools is its unique blend of faith, community, and academics. The integration is critical to their family. "We are excited to see the campus become one community and have a state of the art facility for the Lower School," said Briggs Briner. "We believe ESD will continue to build on the strong foundation developing students who are academically excellent and well rounded." They are also looking forward to the simplicity brought by One Campus, One Community. Caycie added, "We are excited that all three of our kids will be on the same campus!" Gifts like the Briners help ensure ESD's youngest students and their teachers have the physical resources and learning spaces essential to supporting the delivery of the Hallmarks of an ESD Education: academic rigor and excellence, strong community, understanding of self, and faith-informed foundation of values.